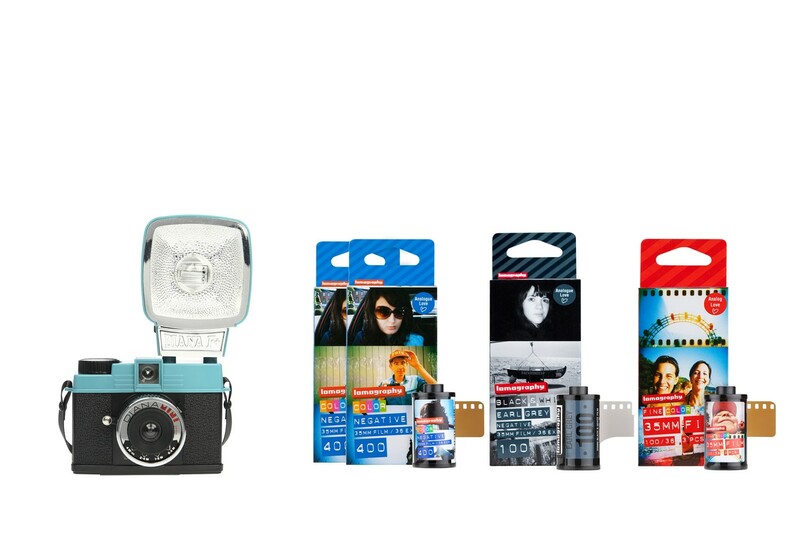 Grab this Diana Mini Original with Flash & Film Bundle and save 15% on films! Shoot square format or half-frame pictures with this mini 35mm version of our dreamy Diana F+ with Flash now and play around with 4 fantastic packs of Lomography film. Get monochrome and moody with a pack of Earl Grey B&W 100, achieve vibrant colors and stunning sharpness with 2 packs of Color Negative 400 and 1 pack of 100 35mm films and save 15% with this bundle!